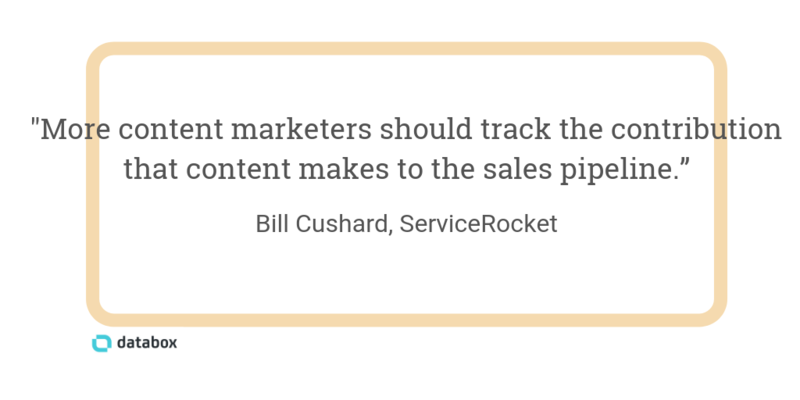 As a content marketer, it’s important to track metrics that prove your efforts are working. 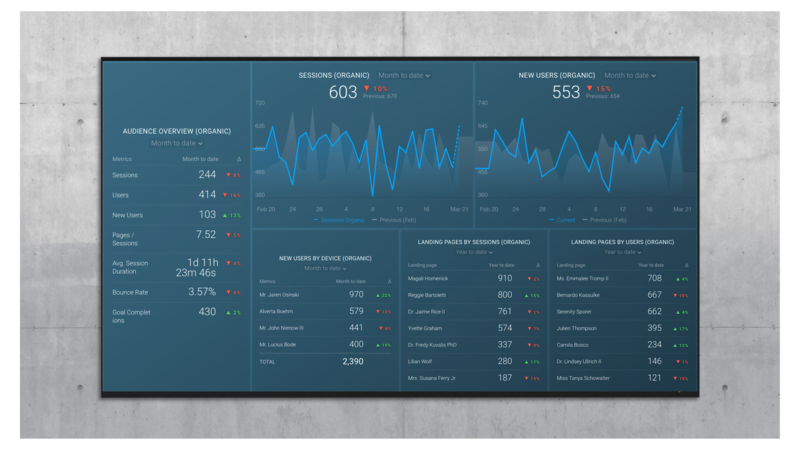 But it’s also important to track metrics that help you improve. To prove your content is driving results for your company or clients, you track all of the go-to metrics for measuring content success highlighted here in our recent report. 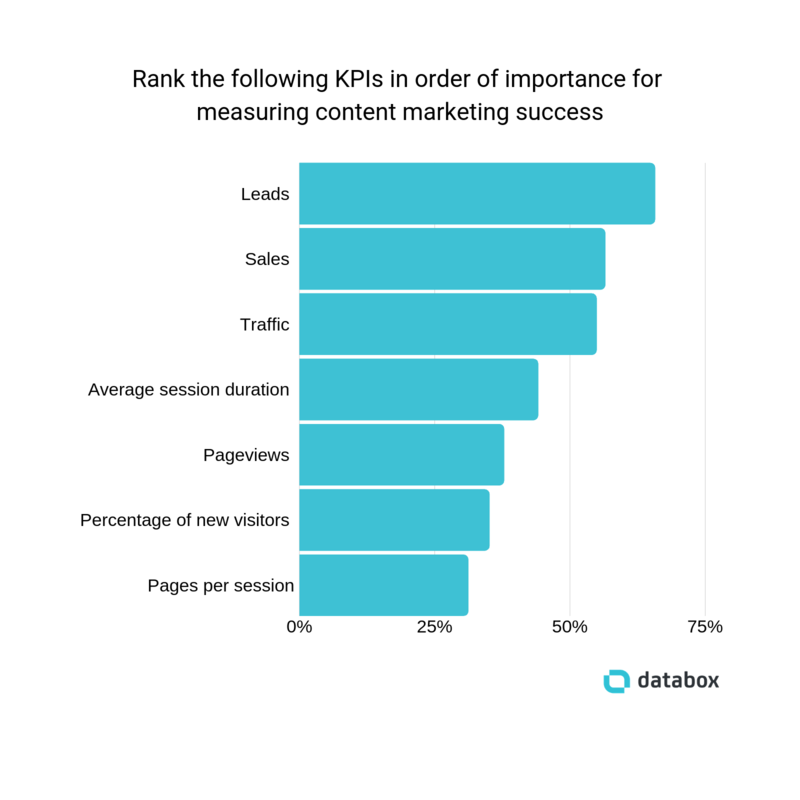 In this latest report, more than 60% of marketers ranked “leads” as the most important KPI for measuring the success of their content marketing program. And while these metrics paint a picture of how your content marketing efforts are succeeding overall, they don’t always give you the granular data you need to discover what specific content, campaigns, channels, and efforts are most effective in driving value. But improving—writing better content, focusing on the right channels, and keeping visitors coming back for more—requires tracking more granular pieces of data. To uncover some of the more unique content marketing metrics, we asked 39 marketers to share their thoughts on the most overlooked metrics and KPIs for measuring content. The results: 22 unique metrics you can track to measure and prove ROI when the go-to metrics don’t provide as much detail as you need, plus a list of metrics that help you continuously improve an already-successful content marketing operation. If you’re tracking traffic but aren’t sure how to translate that into generated revenue, tracking leads but aren’t sure how many of those leads turn into sales, or tracking conversions but aren’t sure how often the catalyst for those conversions was content, these metrics may help. 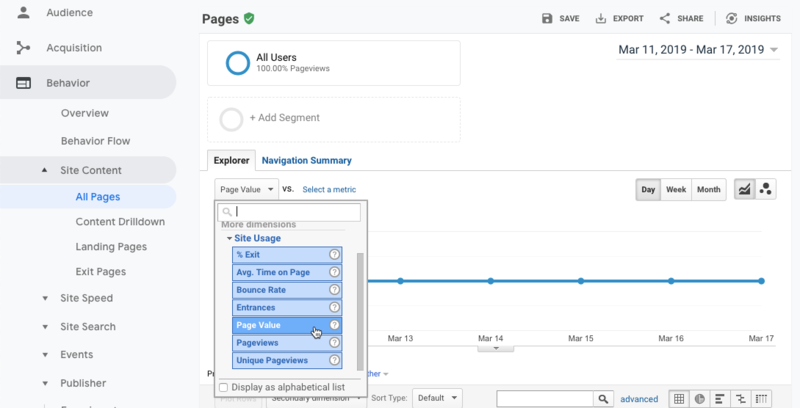 Editor’s note: Get a handle on how organic traffic behaves on your website with this free Google Analytics dashboard. “Given that our content marketing campaigns include a wide variety of tactics—including distribution of free content, paid traffic acquisition, social media, and link building—we like to look at Assisted Conversions in Google Analytics as an interesting way to track our activity,” says Kris Hughes of ProjectManager.com. “This KPI flies under the radar typically—especially if your focus is on direct conversions and not seeing how a conversion took place—but nonetheless is very valuable and a unique way to measure and evaluate each of the mediums within your overall content marketing strategy,” Hughes says. “This all allows content efforts to be tied to ROI more easily than some other important—but soft—content marketing metrics like brand awareness,” Brown says. “It’s such a valuable marketing tool that allows to you directly address the successes or failures of your current offerings—and drastically increase your customer sentiment and brand advocacy,” Kemp says. Being able to accurately measure the ROI of your content marketing efforts is key to retaining your job/budget/clients. So obviously, that should be your highest priority when deciding which content marketing metrics to track initially. But once you have those reports down, it’s good to take a step back and look for new ways to improve upon what’s already working. Could your content be of higher quality? Is it attracting qualified visitors? Are you focusing the right percentage of your time on the channels that provide the biggest bang for your buck? By tracking more granular metrics, you can answer those questions, gaining insight into which content, channels, and strategies generate the most success, and letting you focus more of your effort on the activities that deliver results. To improve your content and campaigns, track these metrics. “Quality is the most important—and most often-overlooked—content marketing metric,” says Chas Cooper of Rising Star Reviews. But “quality” is hard to define. It can be subjective, which makes it hard to measure. Still, our respondents offered several suggestions for measuring content quality objectively. “This could be for a number of reasons: the content might be poorly written, or the advice you’re giving has too much jargon. Whatever the reason, this metric will tell you how long people are spending on your content and whether it’s actually an engaging piece,” Worrall says. “It’s a strong indicator that you’re writing the type of content that will earn followers, site visits, and brand advocates long-term,” Sanders says. “I recommend tracking new relationships,” says RobertsonComm’s Scott Robertson. “If Facebook is your main social media channel, I recommend using the Facebook Analytics tool in Business Manager,” says AdEspresso’s Paul Fairbrother. 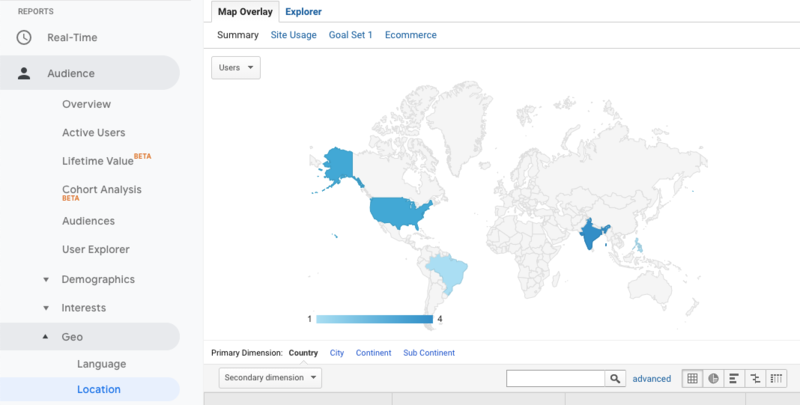 Several of our respondents recommended tracking on-site actions using a heatmap. “Many bloggers like to include senseless CTAs to drive users from articles to landing/pricing pages and get them into the sales pipeline ASAP,” says Smallpdf’s Hung Nguyen. “Work on warming up to users/leads before trying to pitch them with your product,” Nguyen says. 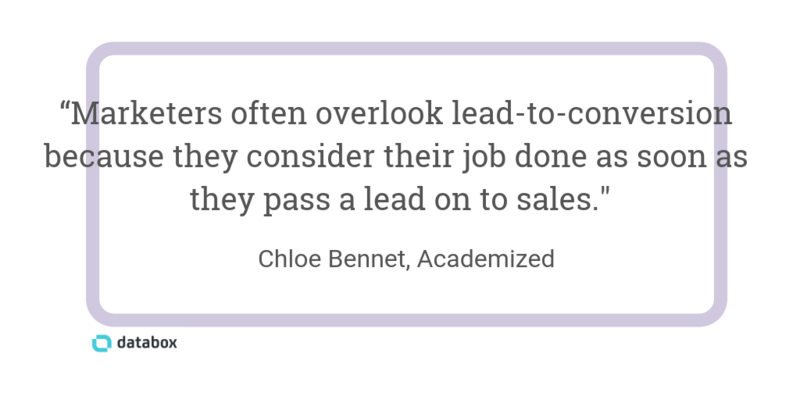 “One of the most overlooked content marketing metrics is lead to conversion rate,” says Chloe Bennet of Academized. Most marketing automation and CRM tools offer a lead scoring feature, and Perryn Olson of My IT believes it’s just as helpful for marketing as it is for sales. “Location is one of the most basic metrics we often overlook,” says Ajay Prasad of GMR Web Team. “Monitoring attribution lets you understand which channels assisted in the consumption of your content so you can create content with those channels in mind,” Ajay Prasad says. 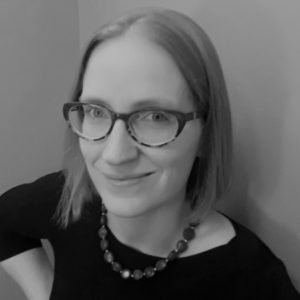 “A low exit rate proves that the related content or your CTAs were successful in taking the reader to a different page, giving you more points of interaction which can be used to qualify them further,” Maria says. “The rankings can also highlight other keywords that can boost your rankings and make your content more visible to your target audiences. Once you include those extra keywords in your content, it becomes far easier for your content to be found by more people, thus widening your reach and improving your visibility,” Koenigsberg says. “Your search rankings can be tracked in Google Search Console where you can see how many impressions and clicks are generated by certain keywords on your site, as well as where your site ranks for those keywords,” says Melis Sawerschel of She Is Rebel. Another piece of data that’s available in Google Search Console that’s important to track: which keywords your content/site is ranking for. “The most overlooked metric seems to be the number of keywords that start ranking in Google for any piece of content—or for the whole blog/site in general,” says ContentFly’s Annika Helendi. “Knowing what queries your content is ranking for and what pages are ranking is the best way to develop new content that will actually draw eyeballs from Google searches,” says Tim White of People.ai. “One of the most important and overlooked metrics is bounce rate, and particularly how a piece of content contributes a site’s overall bounce rate,” says Srajan Mishra of TSI Apparel. “It’s important to encourage visitors to read more articles or move to some other section of your website,” Mishra says. “Whatever the reason, your new blog posts, articles, and resources deserve a bounce rate analysis every month. The best way to gain leads through content marketing is to identify what is not working and go from there,” Harden says. 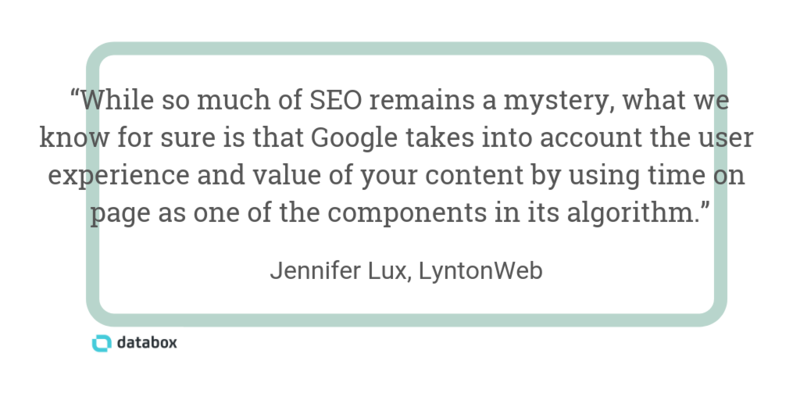 However, measuring your bounce rate is sometimes only helpful in context. So if you have a high bounce rate and a high frequency, it doesn’t necessarily mean that your content is poor or underperforming. It might mean that you have repeat visitors who come to view your new content every time you publish. “For example, it’s possible to have a high-performance page that funnels visitors into leads efficiently with a high conversion rate but a low session time. If you’re looking at session time in isolation, that seems bad, but in this case, lower session time is better,” Ross says. If you decide to start tracking any of these new metrics, just make sure that you consider each metric in a broader context. Sometimes, it’s not enough to measure a single metric alone; you may need to track multiple metrics to get an accurate picture of what the data means.